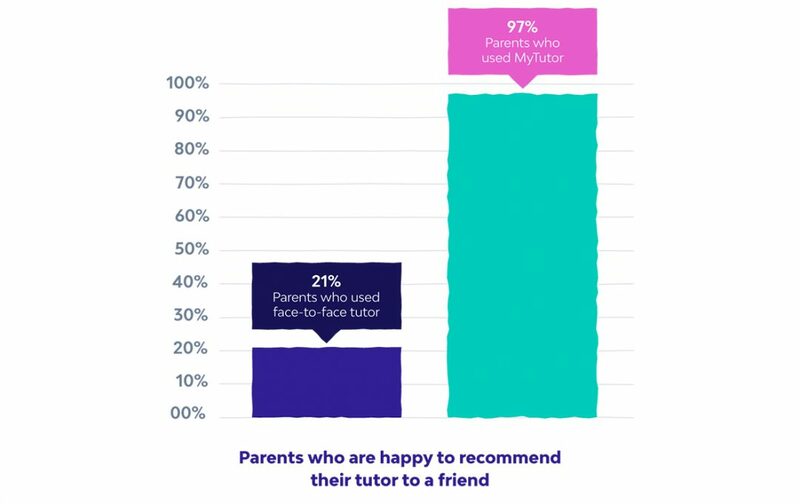 We recently asked 4000 parents about how they’ve used and recommended one-to-one tutoring for their kids. While a quarter of UK teens have had tutoring, we found that a third of parents keep it secret from their friends! 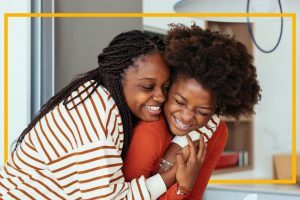 Fear of being seen as a pushy parent, worry that others will think their child isn’t smart and even a fear of looking like a neglectful parent are top reasons they gave for keeping mum. We also found that parents who’ve used online tutoring with MyTutor were much more open about it than those who’d only had in-person tutors. 80% kids say that MyTutor lessons improved their confidence, and we even see an average improvement of a whole grade in a term’s worth of lessons. To fill us in on a family’s experience of MyTutor, we spoke to Shabna, parent of GCSE student Leah, about how lessons helped them and why she recommends it far and wide. Leah has always struggled with maths since the move to senior school. She was never particularly bad at it, but lacked confidence, especially when joining senior school and suddenly it became so much harder. When she was in year 8 we began looking for a tutor. Initially we had an in-person tutor, but the level in which they were tutoring was totally unsuitable for Leah. It was really aimed at much younger pupils and the tutors were unsure what to do. The work was all computer based, but that meant the personal aspect wasn’t really there, and that made it quite dull. Within 6 months we found another tutor, this was one on one tutoring and much more engaging. The sessions were really useful and Leah progressed quite well. However, this tutor was quite expensive and both were a 20 minute drive from home. After a year, this tutor decided to stop tutoring and therefore Leah didn’t have a tutor for around a year. Eventually we found MyTutor, simply by doing research online, and Leah’s been having Maths tuition for nearly 2 years now. What did you and your child most want to get out of tutoring? Better grades? Confidence? Was there a particular subject or topic? For Leah her main issue was Maths, she really wanted to get the highest grade and push herself more. She needed some support to focus on the really hard aspects of the 9-1 GCSE so she felt more confident with her studies and when it came to the exam. 6 months ago Leah also started Spanish tuition, she wanted to broaden her knowledge and vocabulary to help with the speaking aspect of the GCSE – the most nerve wracking part according to her! I find tutoring has made Leah less anxious about school work. I know that if she’s struggling with a topic or needs to practice something, she will let her tutor know, and they’ll spend the lesson working through lots of practice questions until she’s confident. By going over lots of exam papers she’s felt more ready for mocks and ultimately the real GCSEs. I think tutoring is something parents can be reluctant to talk about. There’s a stigma around tutoring, that as a parent you don’t believe your child is capable of attaining her targets on her own or that you don’t trust the school. However, I feel that tutoring is really about helping your child’s individual weaknesses and struggles to help them feel more confident in lessons. When they have some background knowledge on a topic they are more willing to participate in lessons, which means they learn even more and can practice skills they’ve learnt with their tutor. No I’ve never felt uncomfortable. In fact, I regularly recommend MyTutor, because of how easy and affordable it is, yet it doesn’t compromise at all in the standard of teaching. Do you think that online tutoring tools like MyTutor takes away some of the stigma of tutoring? If so, how do you think it does this? Personally, we didn’t find any stigma affected us, as our priority is to ensure Leah reaches her goals. 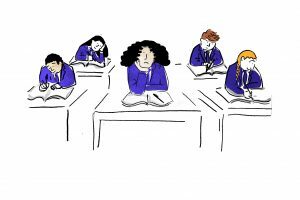 Yes, as this is our eldest child, it’s difficult to compare and comment – but generally schools and parents seem quite positive. MyTutor is much more flexible than in-person tutoring. That’s probably the best thing about it! The lessons can be arranged at any time, and are easy to move around. If Leah has a specific test coming up, she’ll arrange her tuition accordingly to ensure she gets the right practice before the test. It fits well around extra-curricular and volunteering. It’s much easier than in person tutoring as it can be done from home – it saves a huge amount time, and therefore it means Leah can get started on some other piece of homework or revision, as soon as it’s over. The fact that no time is taken up in travel means I’m not waiting in the car for an hour, which is an added bonus. The tutors themselves are focused, interesting, dedicated and very reliable – each session is catered for the individual. By being so personal it means Leah has got a lot out of MyTutor. Not only have her grades improved but she feels more confident. She’s planning to continue with her tutor through A-Levels as she’s so pleased. If you’d like to try one of our tutors, book your free 15-minute video meeting with one today. Email us at support@mytutor.co.uk or call on 020 3773 6020.